A leading group of legal consultants based in Tampa was looking for a reliable data research and extraction service provider who could help them with quality services. Our team provided the services within a quick time. A leading online store based in Kansas City was looking for a reliable service provider who could help in online data entry services. Our team of data entry experts provided the services within a quick time. A leading UK-based healthcare service provider was looking for a reliable data entry service provider who could help them with offline data entry services. Our team provided them with services within a quick time. A leading nightlife app developer was looking for a reliable partner who could provide them with data research and extraction services. Our team of data management experts provided the services within a quick time. A leading Norway-based academic literature publisher was looking for a reliable XML conversion service provider. Our team of data management experts delivered the services within a quick time. A leading US-based custom research company was looking for a reliable survey data entry service provider. Our team provided the services within a quick time. A leading Brazilian company which focuses on research and price intelligence was looking for an accurate video data entry service provider. Our team provided the client with the required services within a quick time. A leading software and app developer in the aviation industry was looking for a partner who could provide them with highly accurate data entry services. Our team of data entry experts provided the services within a quick time. A leading Denmark-based speaker and headphones manufacturer was looking for a reliable partner who could provide them with quality data mining services within a quick time. 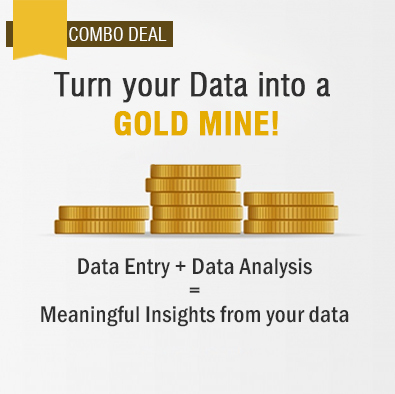 Our team provided them with cost-effective data mining services and mined 300 records per day with great accuracy. A leading company wanted help with semantic annotation services. Our team provided the annotation services on specific entities of 80 images with a high level of accuracy. A leading client in the aluminum industry was looking for a reliable service provider who could help them with quality PDF to Excel data conversion services. Our team of data management experts helped the client with the required services within a quick time. The client wanted O2I to identify specified skin conditions present in the portraits, and annotate the affected area (create a bounding box around acne, blackheads, etc). They wanted to use the results in the manufacture and launch a new face cream for women. O2I annotated 1,500 images weekly (5,000 images monthly), and successfully completed the project within 8 business days. The client wanted to digitize & archive historical tables (1900- 2000), correct OCM errors, and perform OCR conversion & clean-up for 70,000 pages where each document contained 280+ pages. O2I's ten resources delivered 1,000-1,500 pages a week, and successfully completed the project within two months with great accuracy. The client wanted O2I to ascertain companies that were profitable enough for investment, find their official URLs, and upload 100,000+ official URLs onto the client's customized online tool. The client outsourced 20,000 brands per day. O2I assigned ten resources to handle the project each day, and our accurate, timely, and affordable assistance assured 40 percent cost savings for the client. Our UK-based client had a high-volume of handwritten and digitized invoices which consisted of Form P18 (oil and gas reports). The client contacted O2I to capture date from these invoices and key it into the client's customized CRM portal. 2 FTE assigned by O2I delivered invoice factoring for 80,000 invoices a month (20,000 invoices weekly), with great accuracy, ensuring 70 percent cost savings. O2I scanned & digitized high-volume measurement sheets to develop dress designs at affordable rates. O2I successfully scanned & digitized 25 dress designs (measurement sheets), each consisting of 15 - 20 dress timely and at affordable rates. An award winning PhD student wanted our team to help him with data mining services. Our team provided the services within a quick time. A leading private university were looking for a reliable data validation service provider. Our data management team provided the services in a quick time. A leading online platform builder wanted our data entry team to provide them with quality online data entry services. Our team provided the services within a quick time. A leading Australian science fiction writer was looking for a reliable e-publishing service provider. Our data management team provided the services within a quick time. A leading B2B technology partner was looking for a reliable data categorization service provider, Our data management team provided the services within a quick time. A leading online gaming platform firm wanted our team to handle their online data entry requirement. Our data management team provided the services in a quick time. A leading UK-based commercial pilot was looking for a reliable online data entry service provider. Our team provided the services in no time. A leading business acquisition entrepreneur was looking for a reliable data enrichment and cleansing partner. Our team provided the services within a quick turnaround time. A leading US-based nutritional product dealer wanted our team at Outsource2india to provide them with online data entry services. Our team provided the services within a quick time. A leading management consulting firm wanted our data management team to provide them with accurate online data entry services. Our team provided the services within a quick time. A renowned organic greens farm was looking for a data entry partner who could provide them with high-quality online data entry services. Our team provided the services within a quick turnaround time. A leading battery recycler from New York wanted us to provide him with high-quality business card data entry services. Our team of data entry specialists provided the services within a quick time. A leading image recognition solutions provider based in Singapore approached us with a requirement of image annotation services. Our data management experts provided the services within a quick turnaround time. A leading Miami-based AI company wanted our data management team to handle their image annotation requirement. Our team provided the services within a quick turnaround time. A leading North Carolina-based real estate attorneys wanted our team to handle real estate data entry services. Our team of data entry experts provided the services within a quick turnaround time. An Israel-based agricultural intelligence platform wanted us to handle their image tagging project. Our team of data entry experts provided the service quickly at highly affordable price. A leading French luggage storage provider was looking for an outsourcing partner who could provide them with accurate online data entry services. Our team of data entry experts provided the services within a quick turnaround time. An Illinois-based snow removal company approached us with a requirement of mapping and measurement services. Our team of data management experts provided the services to the client in no time. A leading web labeling company wanted our data management team to provide them with quality website labeling services. Our experts provided the services within a quick turnaround time and at affordable prices. A leading Miami-based artificial intelligence company approached us with a requirement of data categorization services. Our team of data management experts provided the services within a quick turnaround time. A leading US-based fund capital company approached us with a requirement of loan application verification. Our data management experts provided the services within a quick turnaround time. A well-known Arizona-based auction house approached Outsource2india with their image cropping requirement. Our team of highly expert data management executives provided the services within a quick turnaround time. A leading invoice factoring and global capital funding company wanted us to complete their invoice data entry requirement. Our team of data entry experts completed the task with a high level of accuracy in no time. The UK-based client approached O2I to categorize 2 million images. So the client requested 100 images in the first trial and further the number of files to be categorized was increased to 80 per hour. Although the number requested by the client may have been extraordinarily high, our skill and expertise led to delivery of results as expected by them. O2I was approached by a US-based client that required our expertise to run a series of survey to extract financial information on the human resource within targeted areas. We created a gender-specific survey with 18 questions each and compiled the results into MS Excel format. Our efforts enabled clients to obtain accurate and reliable financial information about their target audience. An Israeli risk management client approached O2I for improving the performance of a tool that analyzed transactions passing through a payment gateway. O2I was required to streamline the performance of the transaction gateway. With the expertise of a 24-member team, we increased the pass percentage of transactions from 10% to 65% in a short time. Outsource2india employed 5 dedicated data entry specialists to correct the invoices received and carry out appropriate filing. The team created accurate invoice factoring forms based on the client requirement. Outsource2india helped a European holiday planner to successfully create and upload travel allocations and promptly respond to frequent change requests from global customers, with almost immediate turnaround. Tagging and annotation experts at Outsource2india successfully devised and implemented a strategy to observe, register, and tag the moves of every player in their pre-recorded footages of rugby matches. The tagged footages were then archived for future use. Outsource2india offered data entry services to a US-based marketing communications company and handled 800,000 keystrokes per day for 6 days per week which build up to 2,000,000 keystrokes per day. Outsource2india assisted a US based client collect, sort, and collate images and data for a specific classification of nature. Outsource2india assisted a university researcher located in France with high volume data extraction of 100 non-PDF, non-editable books with high accuracy. Outsource2india developed an online portal for a European client which helped them improve the user experience and lower cost overheads. Outsource2india helped a job recruiter shortlist CVs accurately in less time thereby streamlining the client's recruitment process. Outsource2india helped an Analytics and Optimization Services provider collect critical data about each click on their job advertisements as well as the overall ad expense at a faster TAT. Read how Outsource2india helped a leading food manufacturer based in the Middle East enter 12,000 barcodes per day on their portal with 99.5% accuracy, helping them successfully host their contest. A financial services company in the United States that specializes in providing comprehensive and quick financial services to businesses and organizations of various sizes contacted Outsource2india to assist with a large data entry and data migration project. Outsource2india helped a client based out of USA extract large amounts of data from more than 20,000 documents and then created a database for the same in a short time period of 45 days. A Canada-based customs brokerage and logistics company was looking for a back-office forms entry service provider at cost-effective rates. We provided them with the ideal solution which helped them reduce their error rates and operational costs by a considerable amount. A Montreal-based customs broker was looking for a PARS entry service provider at reasonable rates. Our team at Outsource2india provided the required services by efficiently streamlining their processes and reducing their operational costs by a considerable amount. Team at outsource2india helped a US-based location tagging startup tag each and every commercial property in faster TAT with 90% accuracy. Outsource2india provided highly accurate data entry services for material safety data sheets to an environmental consulting firm at a faster turnaround time. Learn how Outsource2india provided a competitive and cost-effective solution to a provider of flooring solutions to leverage from a comprehensive order processing put together by our team of experts. Ouutsource2india offered cost-effective property management back office services to a US based property dealer, and is also currently managing over 110 different properties for the same client helping them expand their business endeavors efficiently. Read this case study to find out how we helped a Swiss client receive more than a million viable contacts with relevant information by data mining the LinkedIn directory, allowing them to save costs and expand their business. Outsource2india helped a Bangalore based start-up with restaurant menu data entry and digitization of 1,000 restaurant menus and 150,000 food items in just 1 week with 95% accuracy. Outsource2india was approached by a leading UK-based publisher to convert three of his hard copy books into .MOBI and .ePub and format within 20 days. Read how we successfully converted the books on time by providing efficient book conversion services with an accuracy level of over 95 percent at cost-effective rates. Outsource2india was approached by a Finnish company for data mining of venues for meetings before the scheduled launch of their website. Read how we helped them successfully launch their website on time by providing efficient data mining services within the given deadline and with an accuracy level of over 95 percent. Team at Outsource2india provided annotation and bounding box services to a visual search and image recognition company within the promised timeframe of 15 days. Read how Outsource2india helped a Singapore-based web solutions provider streamline their processes, and deliver 250,000 images a month. Outsource2india helped a Spanish web solutions provider who had developed a unique Visual Search and artificial intelligence technology exclusively for e-commerce, fashion, and retail industry by providing him bounding box services for one million images in 4 months with unmatched accuracy. If you would like to get a free trial or a free quote for your data entry work, please fill our inquiry form and we will contact you within the next 24 hours.